Read this post in Japanese. Just two months ago, we launched Slack in French, German, and Spanish, and embarked on a journey to make Slack accessible to more teams around the world. 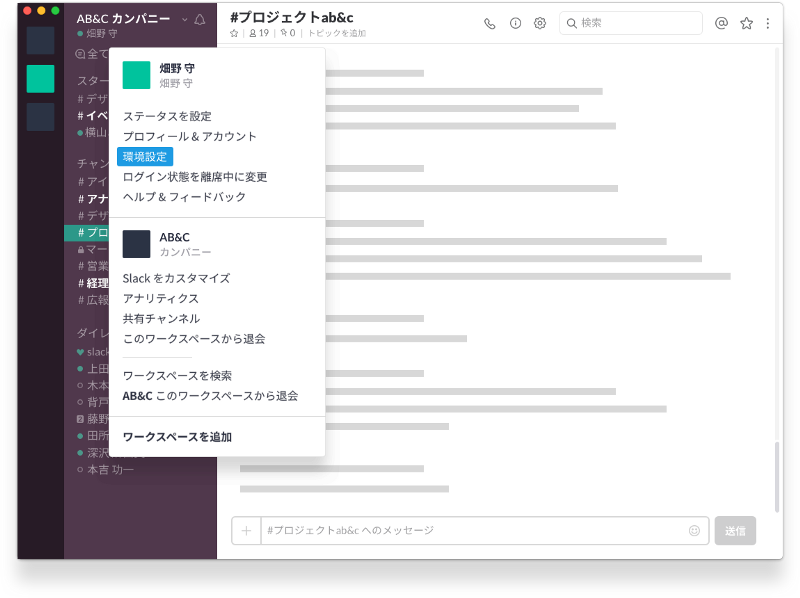 And now, Slack is available in Japanese. We’ve already seen a number of companies in Japan find value in Slack’s product in English — whether it’s Nikkei using Slack to monitor their online news, Cookpad knocking down barriers to cross-department communication through channels, or DeNA leveraging Slack to amplify their core value of transparency. With the localization of Slack in Japanese, even more people in Japan and across the world can use Slack to move projects forward in the language they prefer. To change your language, open “Preferences” in the top left corner of Slack, then click on “Language & Region” to select Japanese. If you’re using Slack on mobile, you can find the language preferences from the “Settings” menu in the right sidebar. Workspace admins are also able to set a default language across their entire organization. This means an admin of a Japanese company can set the parts of Slack visible to everyone — like Slackbot messages or workspace invitations — to Japanese, while allowing multilingual workers to access the rest of Slack in the language they prefer. Once you’ve set your language to Japanese, the entire product experience should feel familiar — everything from the words you see in-product to the way you expect message input to work in Japanese. And if you have questions along the way, our translated Help Center and Japanese-speaking Customer Experience teams are here to help you along. Having trouble changing your language to Japanese? Leave us a note on Twitter or through feedback@slack.com. To use Slack in Japanese on your mobile device, you’ll need to be running the latest version of our Android app (2.47.1) and iOS app (3.32.1).